If you are wondering if you should have your own old fashioned shaving set but you’re not sure if it’s really useful for you, then you’ve landed on the right post. The first thing you need to do is be familiar with it and then gradually decide what you need. There are many kinds of shaving sets available on the market, from cheap ones that are pretty much useless, to the extremely expensive sets that many buy just as a source of pride. Keep in mind that even each set looks the same as the others; and the price will just depending on the kind of material used in them. Shaving sets are usually made of 5 separate components, the razor, badger brush, handle or stand, shaving bowl, and soap. If you are going to buy a shaving set and you haven’t got any of these components yet, then might as well go for the complete set. The price of each set will depend on the class and quality; and if you want to settle for the ones with a higher quality, then you have to be ready to pay a little extra. Having said this, there are quite a few shaving sets out there that are good quality and very affordable, and that will last for quite some time. Having a full shaving set is very important if you want to have a better quality of finish. Each piece in every set has its own function and purpose. We all know what the razor is for. It does the main job of removing all the unwanted facial hair; this is the primary need of most man. With an old fashioned shaving set, you won’t usually get the disposable razor or cartridge blade modern men are used to, but instead you’d get a safety razor or a straight razor. I personally prefer to have a straight razor in my shaving set, since this is by far the best shaving tool for getting the cleanest shave. Now, I’m aware that some of you may not even know what a straight razor is, so let me explain. The straight razor is a blade that is set into a handle. It looks like a knife and is sharp just like one. It cuts like one too! Though many men may prefer the regular disposable razors, I want to show you why you should make a transition into using the straight razor. In fact I will dare say that “real men” shave with a straight razor! The best straight razors for that matter. Why Do I recommend a straight razor instead of a normal razor? The blade of the straight razor is 3 inches wide. This means that with just one shaving stroke, you cover more surface area than with any other razor. The result, you finish shaving sooner. The wider blade also enables you to you’ll use less shaving strokes to get the job done. The result is very minimal irritation to your skin. The lesser the shaving strokes you’ll need overall the minor the irritation to your face. An additional benefit of using the beard straight razor is that the blade lasts a lifetime. Once you’ve made the initial investment of buying it, you’re good to go; forever! The straight razor also has a variety of different handles in the market. Some are made of wood and some of plastic; which means that you can get the one with the handle that best fits your personality. The craftsmanship that goes into making a beard straight razor is just astounding. The blade is well made and sturdy. You can be sure that when you acquire one of these, you’re holding quality and class! The only cost of maintenance that you will encounter is sharpening the blade. This is only done once every six to twelve months. With regular razors, you have to keep on changing blades which make them expensive in the long run. Nothing can come close to the look and feel of your face after using this razor. It is that effective. 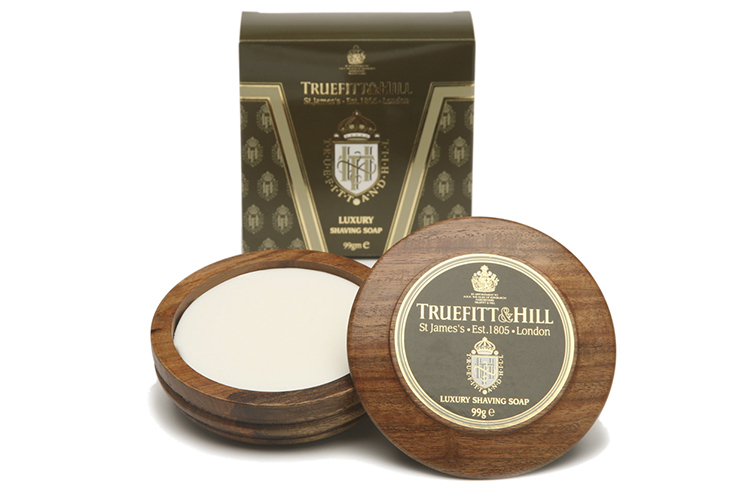 You can be assured that you will receive the best performance out of your straight razor. We have prepared a very detailed guide on how to shave with a straight razor, so that you don’t hurt yourself trying! The best part of using a straight razor? It makes you feel like a real man! You know how that bad guy in the movie shaving with the classic beard straight razor? Doesn’t it make you feel like him? Of course, it does! So go on and give your ego a boost, buy yourself a beard straight razor. The need for a badger brush is not so obvious on the other hand. By using the shaving brush, which lifts up the facial hair away from the skin, it allows the shaving cream or foam to easily get to the right places in between the facial hair and make it easier to shave the hair off. The shaving foam, cream or soap is also important because it acts as a moisturizing layer between the blade and your skin. It is proven that moisturized skin makes it easier to cut the hair off. That is why it is better to shave after taking a warm bath or after applying shaving products which moisturize the skin. The shaving bowl generally holds the soap in it. Last but not the least among the shaving set is the stand. 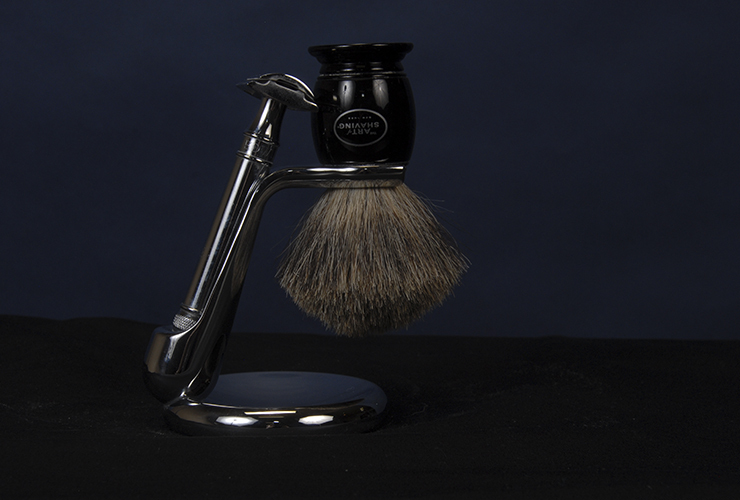 The stand also plays a part in the shaving process, although it is only assigned to hold the razor and brush, still it is essential. Why? By having a stand, your shaving materials are allowed to dry properly and are therefore well taken care off. Through this, all your shaving materials will stay in good condition and can last longer to meet your purposes. So a shaving set is not just a fancy thing that you might want to buy. It is often neglected by many men because they think of it as a fancy, unnecessary gadget. Generally, once the word shaving is mentioned, a lot of men would only think of a razor and cream. 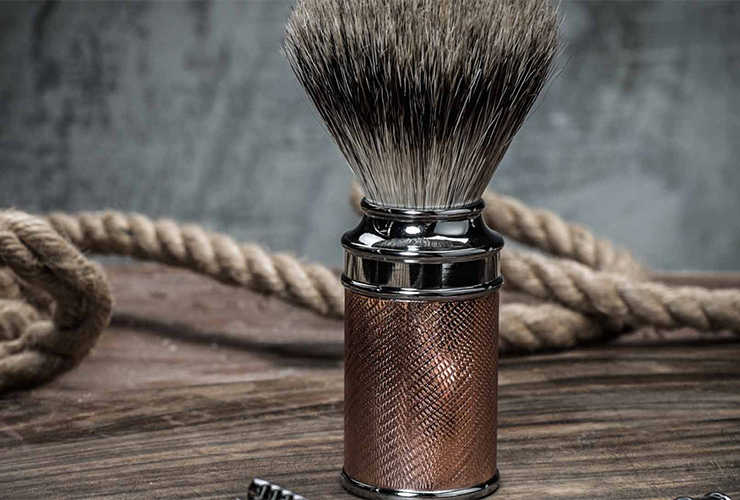 Now, the truth is that you can well do without a shaving set, but if you want to experience a real shave with a safety razor or a straight razor, then you will definitely need a shaving set. Be careful however, once you go old school shaving, and experience the pleasure of a real smooth shave you will find it very hard to turn back. We begin by taking a shower to remove dirt and grime from our body. The steam helps in opening the pores on the skin, so the more the steam, the better. The water will help to soften the beard before shaving. Dip a towel in very hot water. Squeeze the surplus water from the towel and then wrap it around the beard area. It should be as hot as you can stand. This will continue to help open the pores of your skin and will assist reduce inflammation and razor bumps. Look at yourself in the mirror to discover the areas that you need to shave. Using a brush, apply shaving cream or soap generously to your face. Use circular motions until your face is well covered with soap or shaving cream. Take your straight razor carefully in your hand. Bring it delicately to your face. Place the blade at 90 degrees in the same direction you intend to shave. Pull the skin tight with your other hand. Mildly shave in the direction of hair growth. Pulling your skin tight with your other hand is critical to preventing cuts. If the skin is slack, it will result in you getting some nicks and cuts on your face. For a very close shave, apply more soap or shaving cream to your shaved area. Now shave the area again against the direction of your hair growth. Rinse your straight razor repeatedly as you continue shaving to avoid accumulation of hair and shaving cream on it. Cleanse your face with lukewarm water and apply the shaving cream or soap again. Repeat the shave again using clean downward shaving motions. Shave opposite the direction of hair growth to make sure that you remove the hair completely from your face. Rinse the remaining residue of soap from your face with warm water. Finally, use cold water to rinse your face. This will help seal the pores of your skin. Now apply some aftershave to your face. 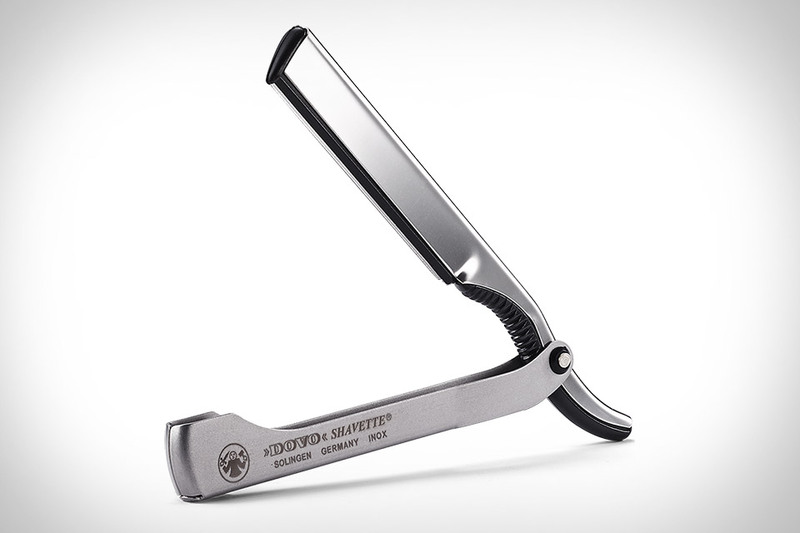 After your shave, you will want to keep your straight Razor in tiptop condition. For this, after shaving, rinse the razor with cold water to remove any soap residue. Blow on the razor handle to remove any excess water hiding in there. Now, dry the razor by dabbing it with a towel, making sure you to dry the crevices in the handles where it meets the blade as this is where rust usually begins. Now hang the razor on your shaving stand to let it air dry properly, before storing it.